In our previous lesson, we know that the motor speed is powered and controlled by PWM(Pulse Width Modulation) current from L298N. However, due to manufacturing inaccuracy, left and right motors might run at different speed even if they powered with same PWM signal. This will cause the robot car offtrack straight line. To solve the problem, we need collect the speed data from left and right motors and use the data to adjust PWM current and synchronize the speed of both side motors. In this lesson, we will use build-in Hall Encoder in the motor to collect speed data and send the data to Arduino, then use the data to synchronize motor speed and make car running straight. The wire connection of Hall encoder(speed sensor). 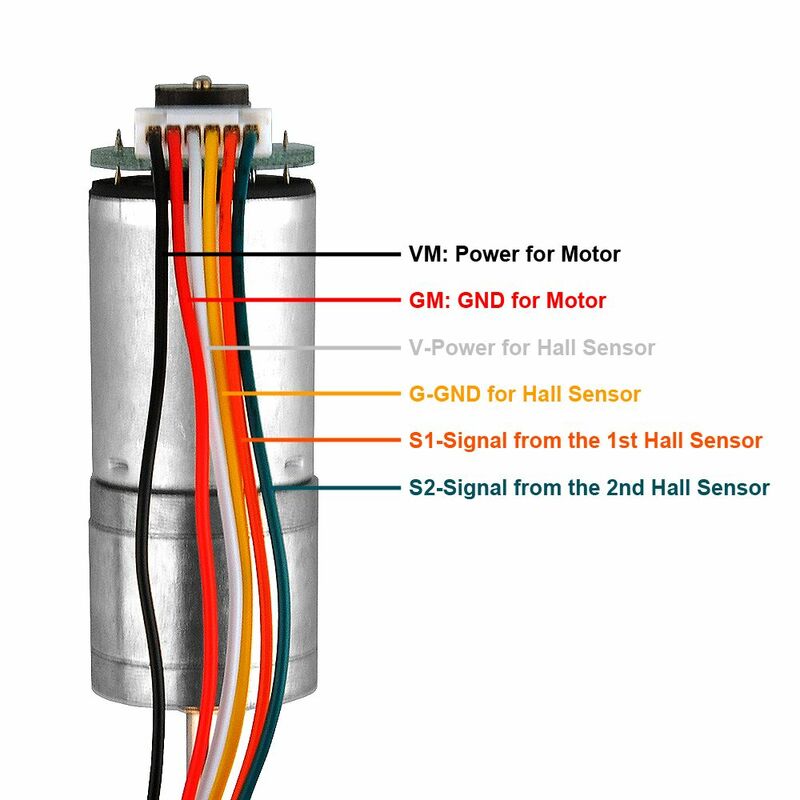 Unlike other sensor, Hall encoder has two signal pin S1 and S2 which should work together to get speed data. 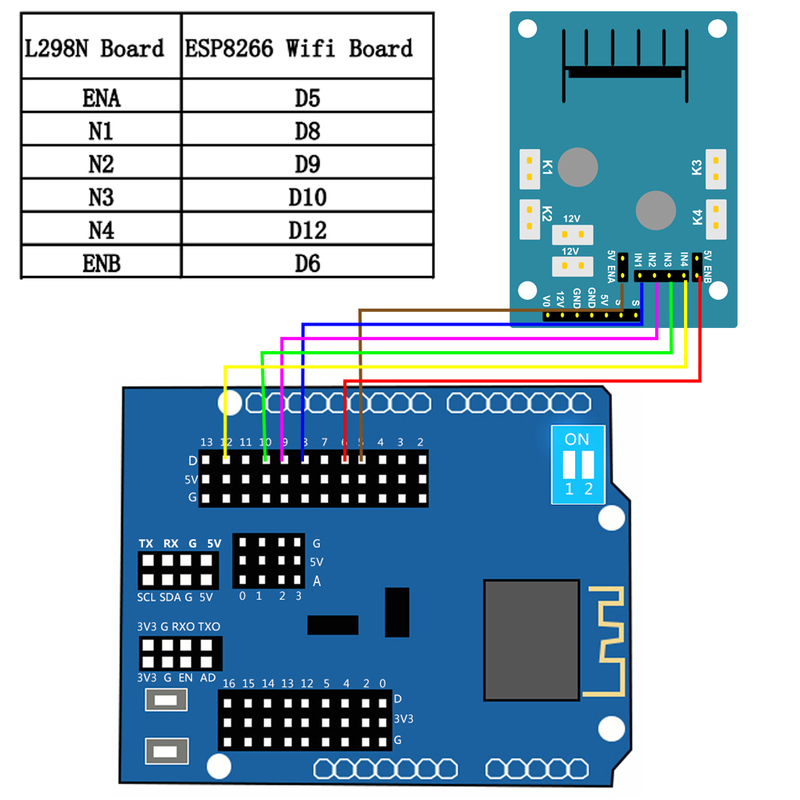 Arduino also needs two digital pins to input data from S1 and S2. 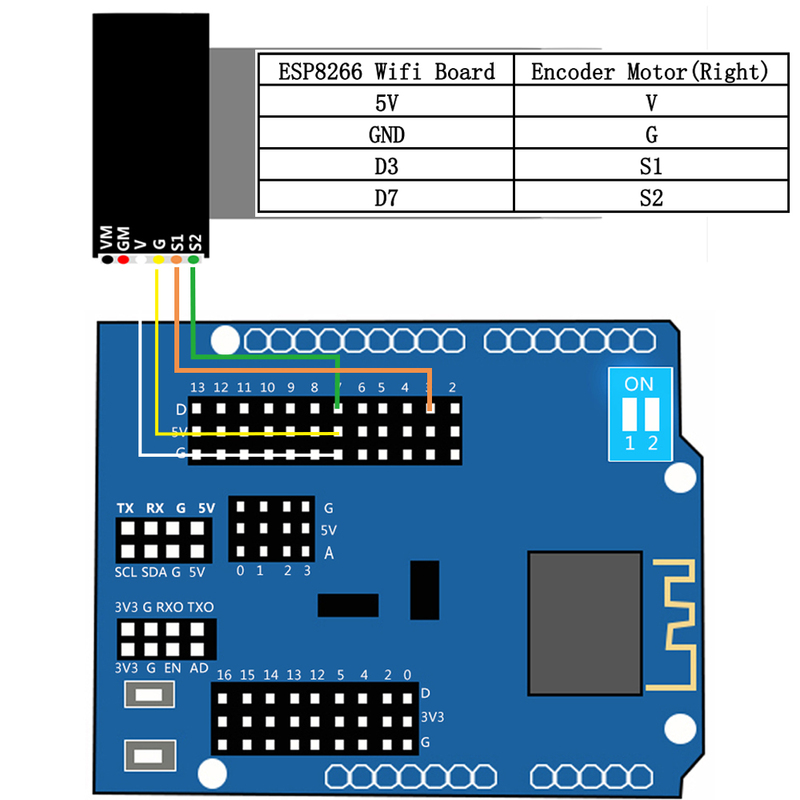 Our Arduino sample code will use an algorithm called PID to synchronize the speed of left and right motor. The detail of PID algorithm is beyond the scope of this lesson. If you are interested in this algorithm, you can google it for detail. 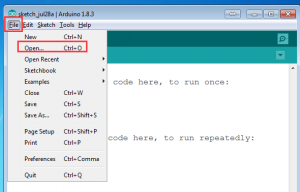 Step 4: Connect UNO R3 board to PC with USB cable, Open Arduino IDE -> click file -> click Open -> choose code “tank_robot_lesson2_encoder.ino” in tank_robot_lesson2_encoder folder, load the code into arduino. Step 5:Getting error correction power via PI algorithm and use the power to adjust the motor speed. Step 6: Run the instruction control ( ) per 10ms. 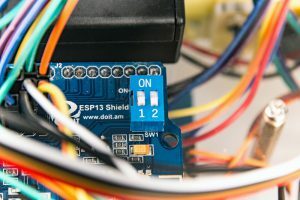 Step 2: Move the wire connected to digit ports(D5,D6,D8,D9,D10,D12) in UNO R3 board to its counterpart digit pin in ESP8266 wifi Board. 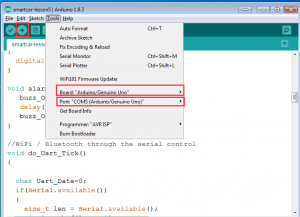 Step 3: Turn the switch of esp8266 to "1" and "2" position, as the following photo shows.